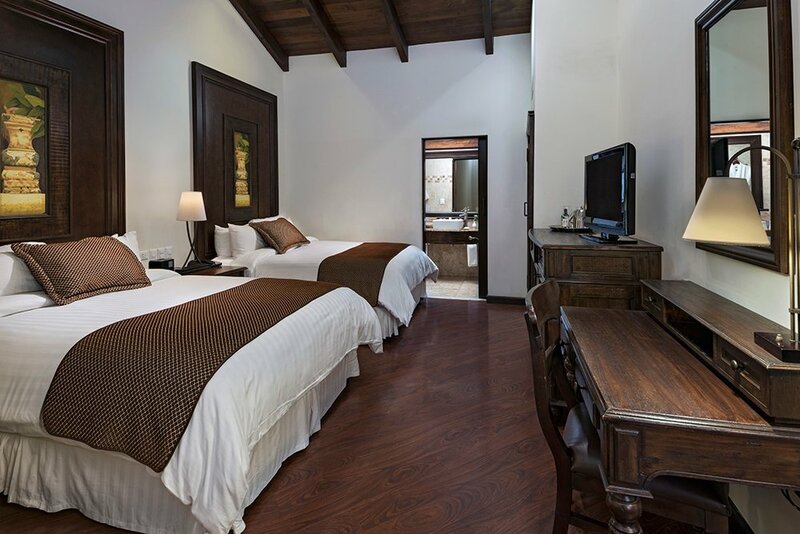 Rest in one of the 86 deluxe rooms located around our patios and colonial gardens. Choose from the pillows menu and enjoy the goose feather duvet cover. These rooms have two queen size beds in a beautifully decorated setting.